Windows 10 is now running on an astounding 75 million PCs. Microsoft (MSFT) made the new version of Windows available as a free download for Windows 7 and Windows 8.1 customers just one month ago. That's double the pace of Windows 8 installations after its first month of availability. It took Microsoft nearly five months to get to Windows 7 installed on 90 million PCs. There's nothing quite like a free upgrade to get customers downloading like crazy. Windows 10 has also gotten widely positive reviews, as opposed to the much-loathed Windows 8. 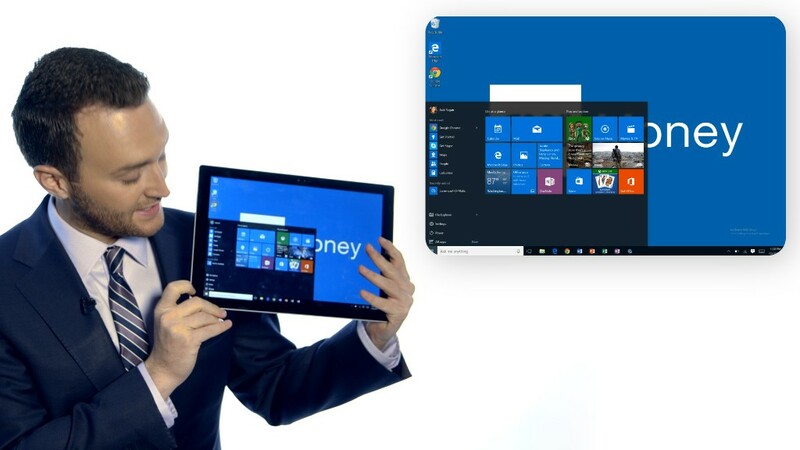 Pent-up demand for PCs and back-to-school sales have given Windows 10 a jolt too, according to Mika Kitagawa, analyst at tech consultancy Gartner. PC sales fell by 9.5% last quarter -- the biggest decline in two years -- as consumers were holding out for PCs loaded with Windows 10. Microsoft said the electric pace of Windows 10 downloads has been a global phenomenon: The operating system has been downloaded in at least once in 192 countries. A broad spectrum of customers are downloading Windows 10. In an effort to ensure that every customer who downloads Windows 10 has a PC that can handle it, Microsoft has been rolling out the upgrades gradually as it tests some of the less common PC models for bugs. The company said Windows 10 has been installed on 90,000 unique PC models so far. Some customers with eight-year old PCs have even been downloading Windows 10. Xbox customers have been taking advantage of Windows 10's streaming video game feature. More than 122 years of gaming have been streamed from Xbox consoles to Windows 10 PCs so far, Microsoft announced. Windows 10's Siri-like virtual assistant Cortana has told more than 500,000 jokes over the past month, and Windows 10 customers have unlocked more than 10 million Solitaire and Minecraft achievements. The best news for Microsoft is that customers are finally taking to the Windows Store. Windows 10 customers are downloading six-times as many apps as Windows 8 customers, the company reported. Microsoft has been unable to jump-start its app store, which notably lags Google (GOOGL) and Apple (AAPL) in terms of number of apps, popular software and number of downloads. Still, Microsoft has a long way left to its goal. The company said it believes 1 billion devices will be running Windows 10 in the next two to three years.